Aaron Becker joins us today for the reveal of Return, the final book in his epic Journey trilogy! Watch the video below, and then read on to learn more. return_teaser_final from Aaron Becker on Vimeo. Can you tell us a little bit about the JOURNEY trilogy and what we can expect in RETURN’s story? 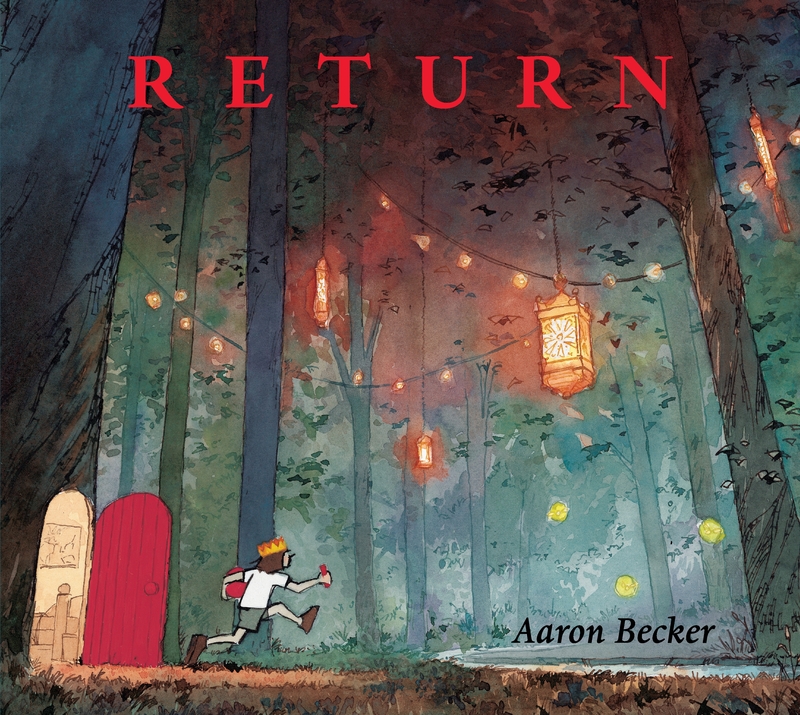 Aaron: RETURN is the final chapter to this wordless picture book series about a girl and her adventures into another realm. I really wanted this last book to be special – it had to tie up some of the bigger questions from the larger story but also have a heart of its own. I think fans and newcomers alike are in for a treat. Aaron: All of my drawings start out at the library where I start my research for the worlds I’ll create. Then I move onto pencil sketches and sometimes even use the computer to figure out the geometry of some of the more complex architecture I’ll be designing. Finally, everything gets transferred lightly onto watercolor paper and I work the old fashioned way with dip ink pens and finally watercolor. It’s a long process but I think it’s worth it! Interestingly enough, the paintings for RETURN were prepped here in the states but were painted in Spain while my family and I were living there for the year! It took me about seven months to get the story in shape, five months to prep for my final paintings, and four months to paint them. I was so nervous when the time came to ship them back home from Spain to make the book! Aaron: There’s a spread in the middle of the story of the familiar castle from JOURNEY and QUEST, only now we’re flying high above it. The bird’s eye view really makes it an exciting moment to take in. Did I mention there’s also a griffin in this painting? RETURN is the final story in your picture book trilogy. Was the story always conceived as a three-part tale? Aaron: After I had finished JOURNEY, but before it had published, I realized I had created a world that had more story still inside it. I wrote the outlines for the next two books and nervously presented it to my publisher who I was pretty sure wouldn’t want to buy into it before they could see what sort of reaction readers would have to JOURNEY. Luckily, they got my ideas right away and the rest is history! Thanks for sharing, Aaron! Who is publishing the book and when can we look for it at our local bookstores? Aaron: You are more than welcome! And thank you All The Wonders for hosting it! RETURN publishes in August of 2016 with Candlewick Press. Thanks for sharing Return with us! Born in Baltimore, Aaron Becker moved to California to attend Pomona College where he scored his first illustration job designing t-shirts for his water polo team. 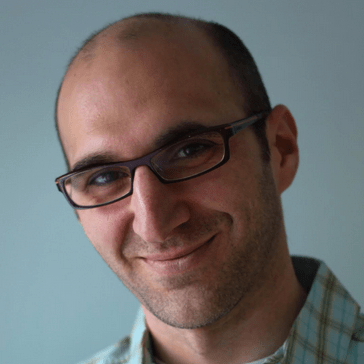 After attending the Art Center College of Design in Pasadena, he worked in the Bay Area as a concept designer for film companies such as ImageMovers, Disney, and Lucasfilm. 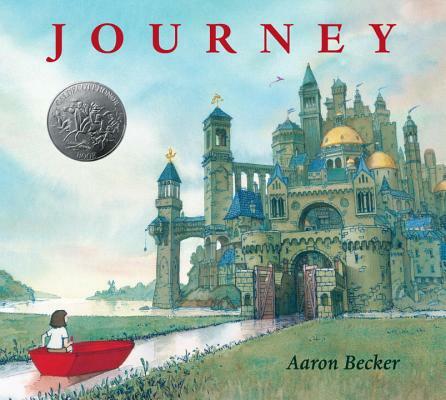 “JOURNEY”, his debut picture book, was the recipient of a 2014 Caldecott Honor. 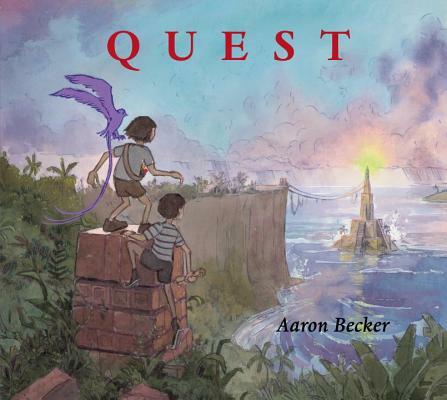 “QUEST”, which published in 2014, picks up right where JOURNEY left off. Meanwhile, Aaron spent the 2014-15 school year with his family living abroad in Spain where he finished work on his picture book trilogy’s final chapter, “RETURN”, which will publish fall 2016.